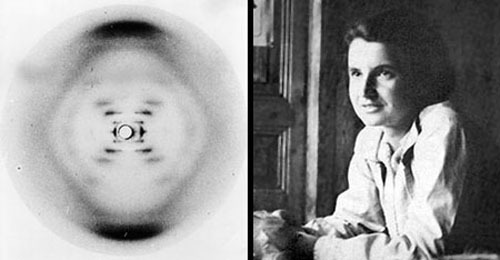 Photo of Rosalind Franklin courtesy of Vittorio Luzzati. Photo of x-ray crystallography (Exposure 51) courtesy of King's College Archives. King's College London.